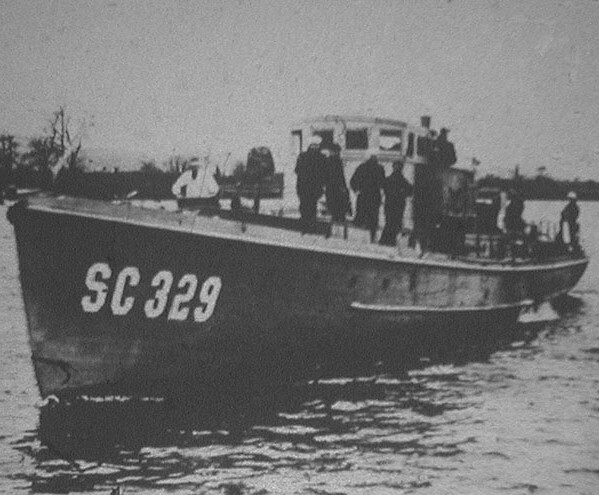 Submarine chaser SC 329 was a wing boat in Unit 21 (SC 178, SC 329, SC 254) at Plymouth, England. This chaser was later reassigned to Queenstown, Ireland, and after the war took part in the minesweeping operations in the North Sea. This photo appears in a booklet, "Barge Canal Bulletin, November 1917," on the back cover. Given the date on the copy that now exists in microfiche form at the National Archives (second image), either the Canal Bulletin was a later account, and not something printed in 1917, or the caption on the image in the Archives is incorrect. Note that the mast and war time equipment are not shown. This may be an early photograph, prior to commissioning. 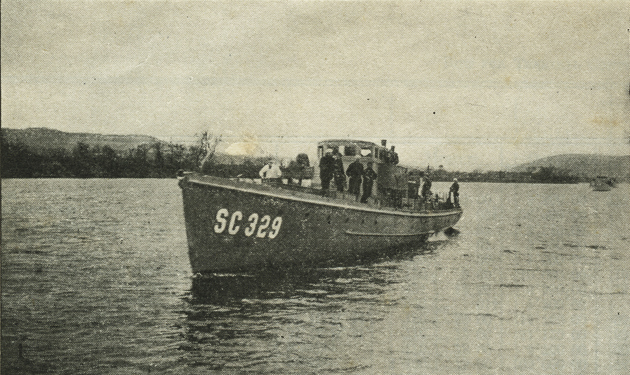 Photograph of submarine chaser SC 329, in the booklet, "Barge Canal Bulletin, November 1917," Caption (image below): 110 ft. submarine chaser. (SC 329) 03/24/1919. Digital photo of a microfiche image, National Archives, Record Group 165-WW, Fiche 1392. Thanks to Dan Treadwell for submitting the digital image to the Subchaser Archives.